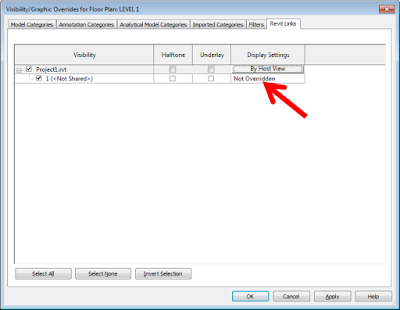 When you link Revit models into your project, Revit allows you to control their visibility graphics in your host file. This can be controlled many ways…. 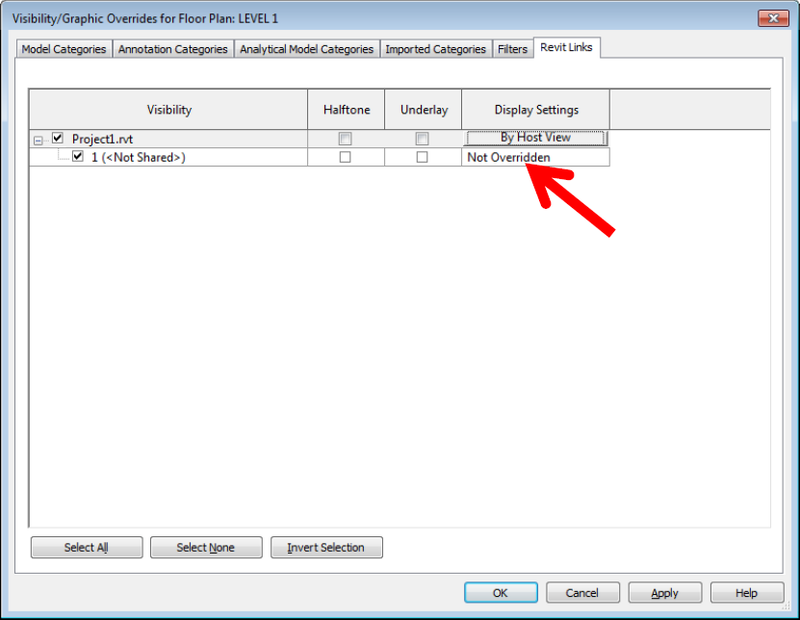 By Host View – Visibility graphics is controlled by the host view. By Linked View – You can use a view in the linked file to set the visibility. Custom – You can independently control the visibility of the linked file. When you select on the Revit Links Tab in the Visibility Graphics dialogue box, it will list all of the Revit links being used in the current project. If you expand the Revit Link, you will notice that there is a sub-category to the Revit link. This is the individual instance of the linked file and it can be controlled individually. Changing from ‘Not Overridden’ can cause major headaches in your project file if you start manipulating the instance (sub-category) display settings unnecessarily, it makes visibility settings hard to find in views. Normally there is no need to adjust the visibility of the instance of the linked file, especially if there is only one instance (sub-category). Please leave this as ‘Not Overridden’! Use the main category of the linked file to control the visibility. The only time you need to adjust this setting is if you have multiple instances of the linked file in your project that need to have their visibility controlled individually.